When people think of wolves, they’re inclined to envision the folklore of the “Big Bad Wolf” or werewolves. It’s clear that these animals don’t really have a good reputation in popular culture and as a result, many people see them as a threat. Sadly, because of these misconceptions, many wolf species are threatened to be endangered – if they aren’t already. But one park in Colorado hopes to change all of that. 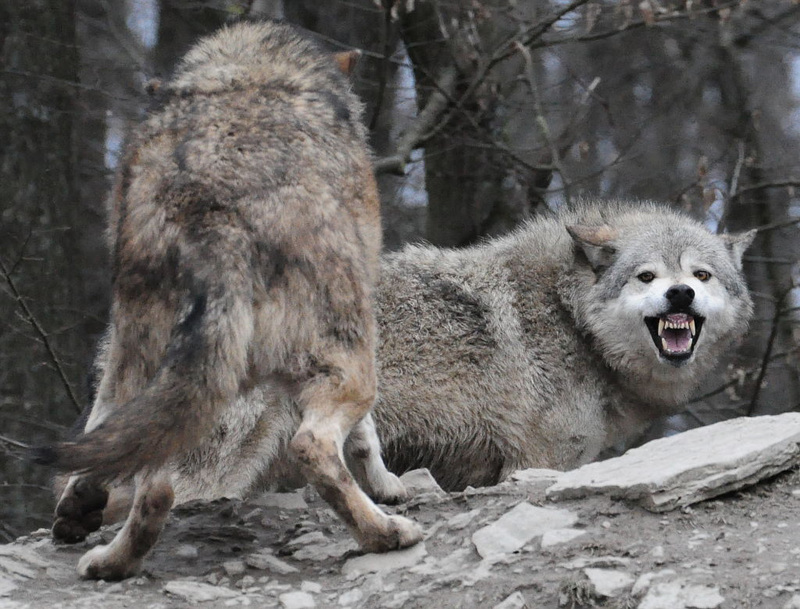 Wolves are often portrayed as dangerously violent and vicious creatures. But like most wild animals, they don’t intend to cause trouble unless they feel threatened. 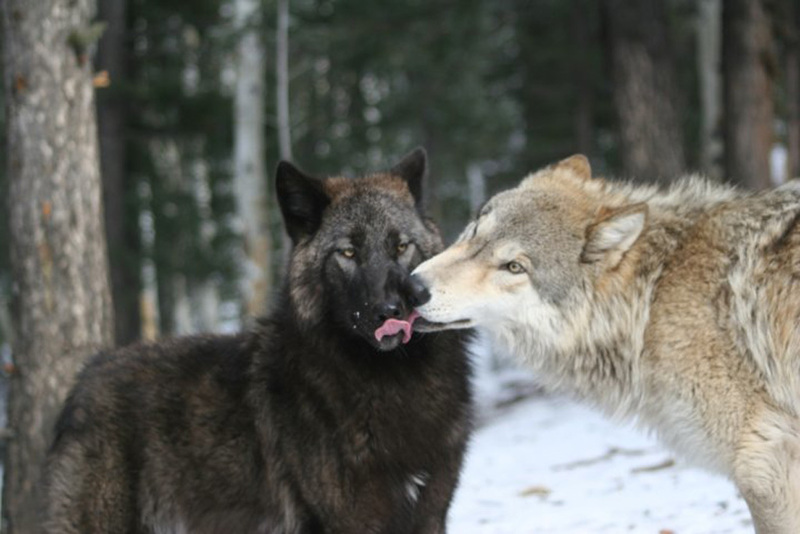 In fact, wolves can actually be quite gentle even though they’re not domesticated. Many people who find this difficult to believe will try to convince you otherwise. 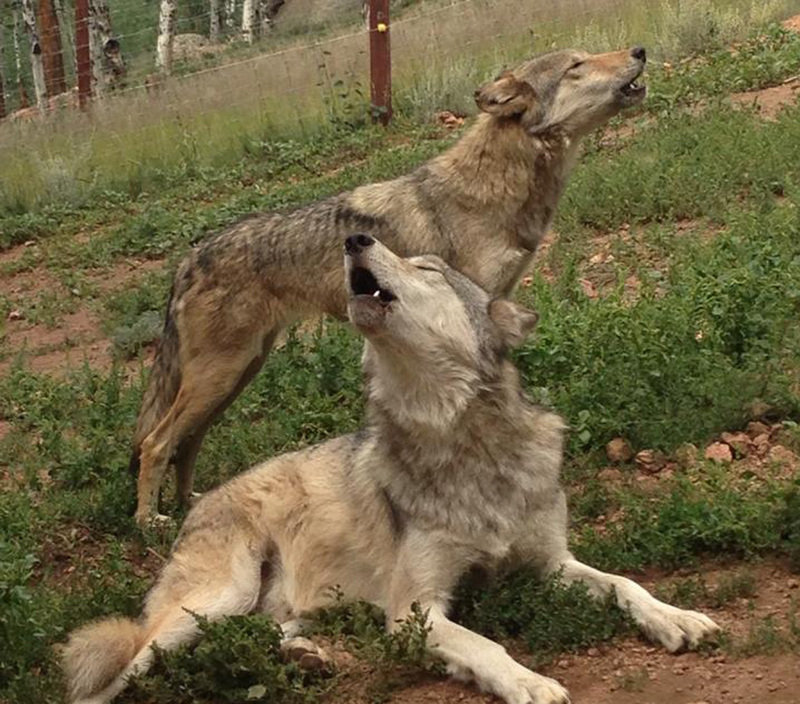 Still, there’s one park in Colorado that is trying to change all of that, one wolf at a time. 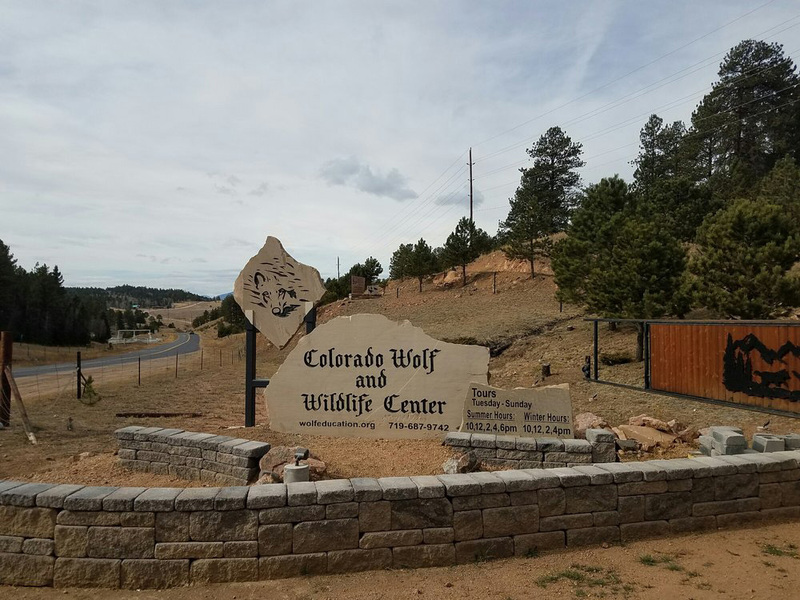 The Colorado Wolf and Wildlife Center in Divide, Colorado works to change public perception about these majestic creatures. 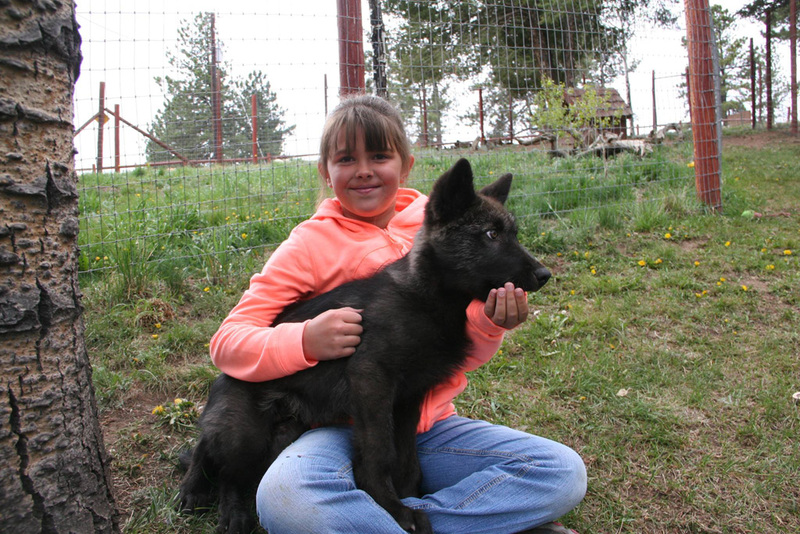 They not only provide a safe habitat for wolves and other wild animals of the canine variety, but their mission is also to educate people about these animals. 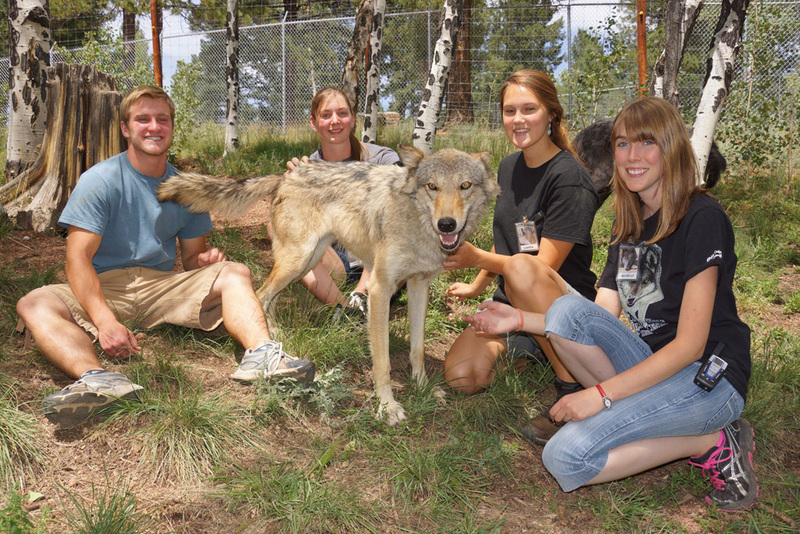 Not only can you learn about these creatures, but the Colorado Wolf and Wildlife Center lets you get up close and personal with them – if you’re brave enough! 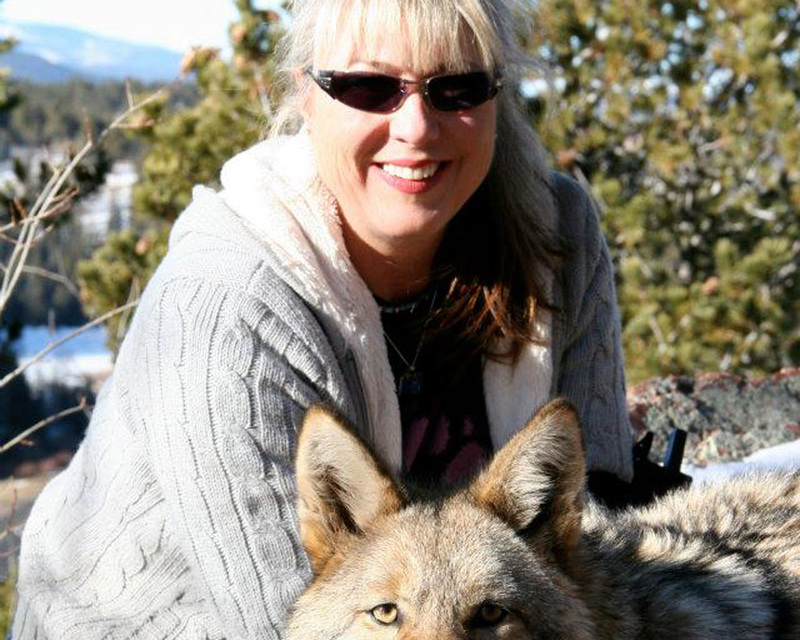 The Colorado Wolf and Wildlife Center is the brainchild of Darlene Kobobel of Lake George, about 15 minutes west of Divide. 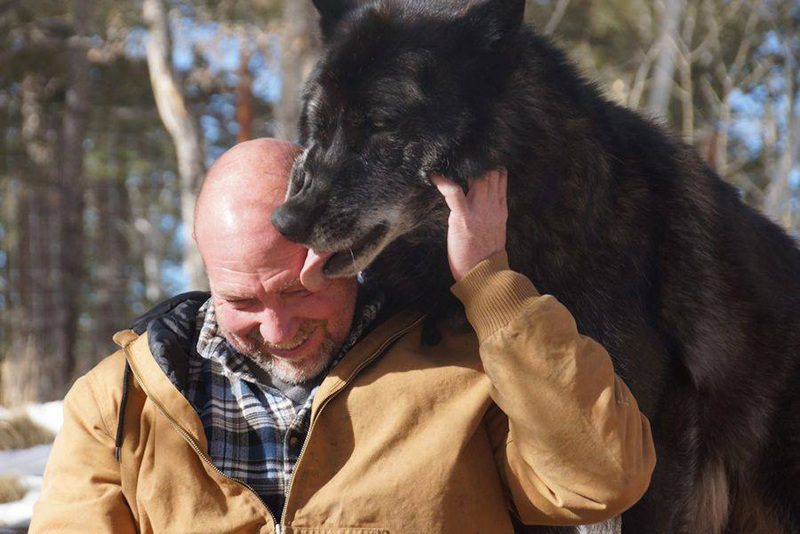 In 1993, Kobobel rescued a wolf-dog named Chinook who was two years old at the time. 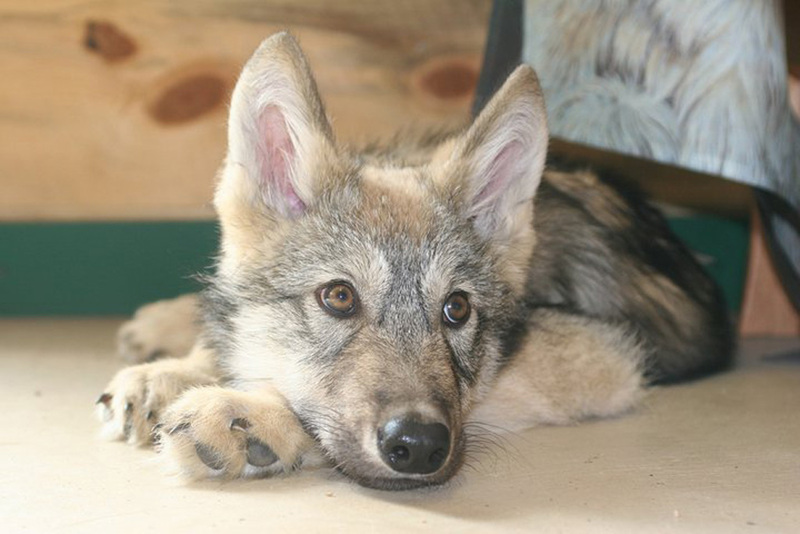 Because of Chinook’s wolf-hybrid label, the animal shelter she was kept at planned to euthanize her. That’s when Kobobel stepped in. Despite her childhood fear of wolves, Kobobel took in Chinook and decided to learn about the controversies regarding wolf-dogs. Approximately 250,000 wolf-dog hybrids are born in the U.S. and 80 percent of those animals are doomed to be euthanized before they’re three years old. Due to the unpredictable nature of the animals’ behavior, a lot of wolf and wolf-dog owners find that they’re not able to care for them. As a result, they get surrendered to shelters and humane societies who end up euthanizing these animals, usually within three days of taking them in. After learning about the contentious issues regarding wolf-dogs, Kobobel decided to start the Wolf Hybrid Rescue Center near her home. 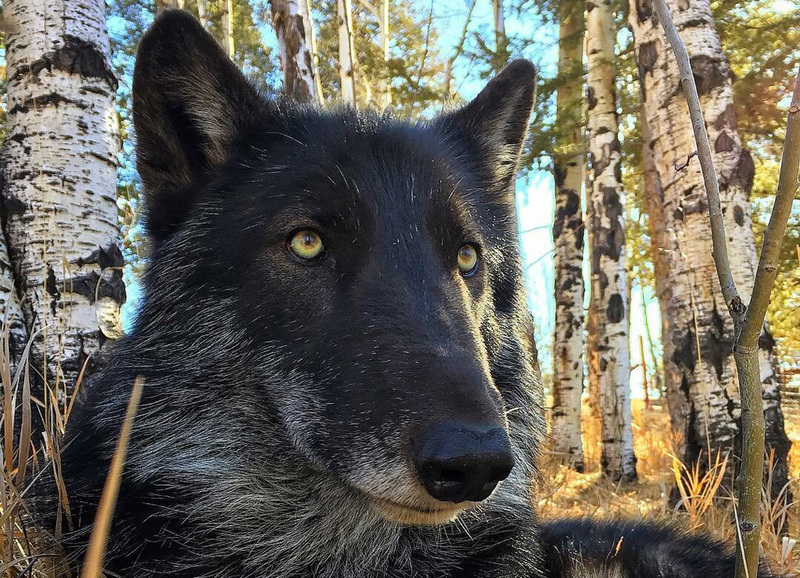 Within the first year, they received at least 15 phone calls a day from people all across the country who wanted to give up their wolves and wolf-dogs. It was then that Kobobel realized the problem. If more people were educated on the nature of these animals, then they’d be more equipped to handle them without leaving them homeless. Kobobel and her dedicated team of staff and volunteers knew it was physically and financially impossible to "rescue" every animal that came their way. They knew that they had to focus on providing the public with more widespread education, as well as expand the space they had for the growing animals already in their care. 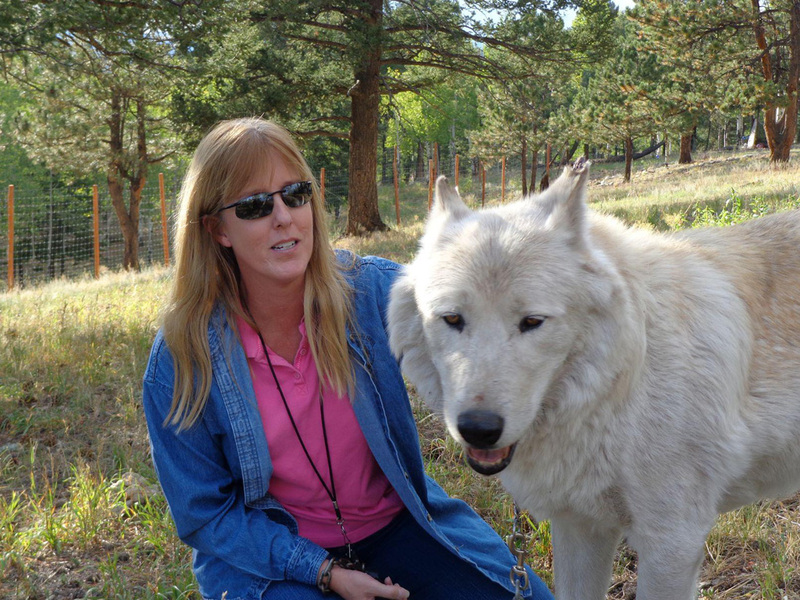 Ten years after her initial rescue opened up, Kobobel opened the Colorado Wolf and Wildlife Center. But getting to that point wasn’t easy. Kobobel had to relocate the center more than once; first after a fire threatened their property and another time after their landlord suddenly terminated their lease. It was a scramble to find a good enough location, but eventually Kobobel found the sprawling 35-acre property in Divide where the Center is now situated. Staff and volunteers put in hours of labor to build the site to what it is today, complete with wolf enclosures that are at least an acre wide. Today, the CWWC houses a variety of wolf species. There, you’ll find Timber Wolves, Mexican Gray Wolves, Arctic Wolves, Alaskan Interior Wolves, and so much more. Animals of this variety come from all over to live at the CWWC. The animals who come to live here cannot otherwise survive in the wild. This is why it is the Center’s mission to provide a safe habitat for these animals as well as care for them to the best of their abilities. The CWWC offers a variety of tours. Their standard tour is a guided educational tour that shows you around the facility, where you’ll witness these animals in their natural habitat. Tour guides also educate visitors on the history, biology, and current issues that these animals face today. But if you’re looking to get to know these animals a little better, you can also opt for the meet-and-greet encounter where you get to see and interact with them up close! 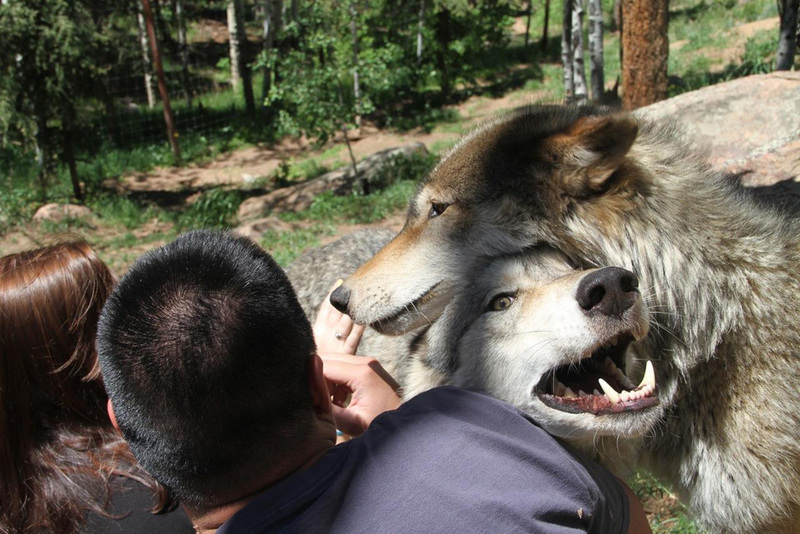 The meet-and-greet encounter allows you to enter a wolf enclosure with a handler. 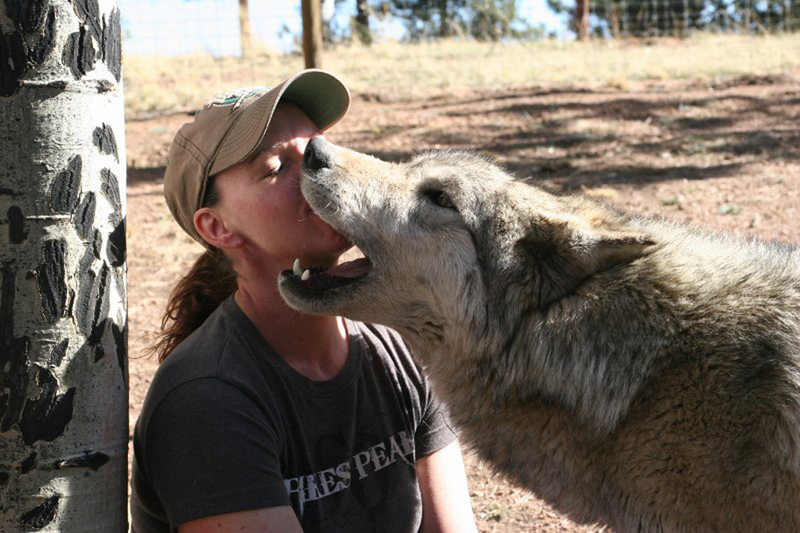 These wolves are used to human interaction, so some lucky visitors get nuzzles and kisses from these large creatures! 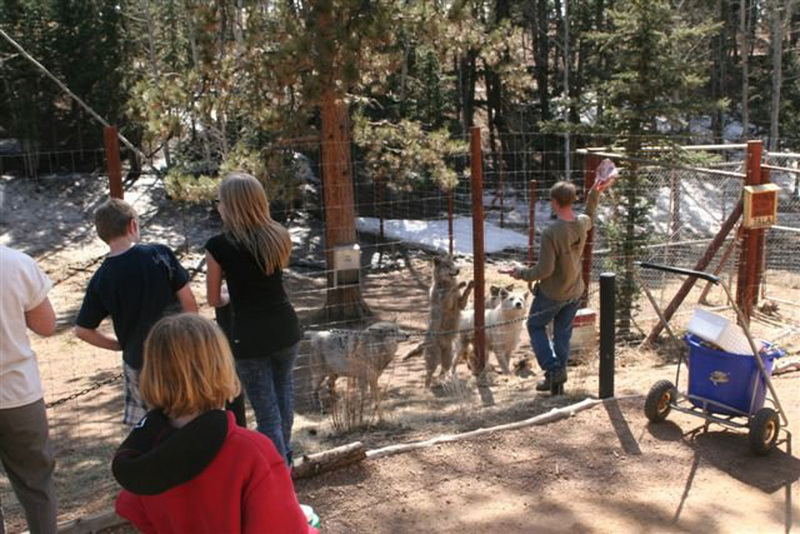 As if that wasn’t enough of a thrill, the Colorado Wolf and Wildlife Center also allows some of their visitors to feed the animals as well! Certainly, that would only earn you extra love from these majestic animals. Since the Center’s inception, wolves aren’t the only creatures that have been welcomed. We did say that other canine-related animals lived here too! At CWWC, you’ll also get to see foxes and coyotes who’ve been saved from fur farms. While wolves, coyotes, and foxes are mischievous by nature, popular culture has amplified that trait to portray them as villains. But at CWWC, these animals are anything but! They’ve only proven how loving these animals can be. If you’re wondering how all these animals come to find a home in the Colorado Wolf and Wildlife Center, the answer is that they come from zoos and shelters all over the country. Some of the members of their pack have even come from overseas! Amarok is a dark wolf who was found roaming the streets of Colombia, South America with domesticated dogs. After he was rescued by the Santa Fe Zoo in Colombia, he was sent to CWWC. Coming up, you’ll find out just how much a wolf can actually eat! Amarok is the Center’s poster child for illegal animal trade throughout the world. They believe that he was brought illegally from the U.S. to South America. Once there, he was probably let loose or escaped whatever habitat he was kept in, since wolves are master escape artists. When he first came to CWWC, he spent quite a while adjusting to his new life surrounded by animals of his own kind. It wasn’t long before he fit right in. 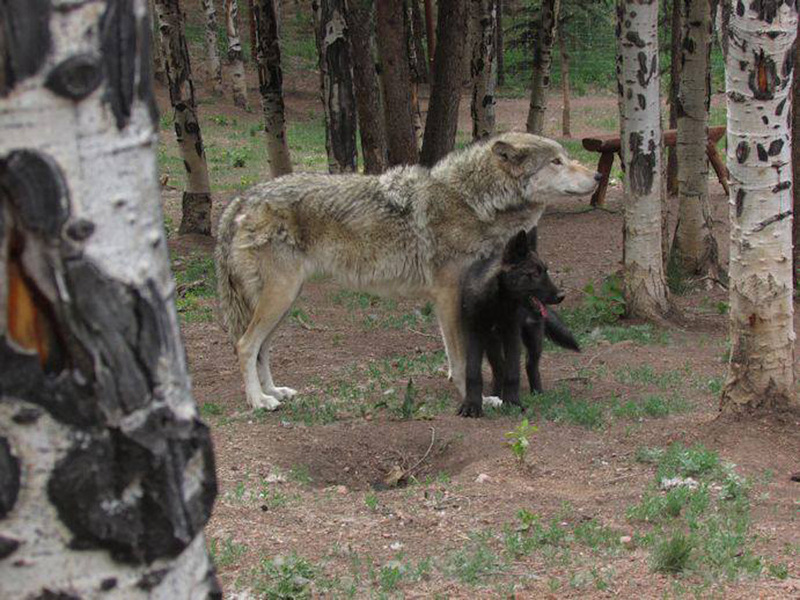 One of the Center’s goals to change the public’s misconceptions about wolves. There are multiple myths about these creatures that are widely believed simply because people aren’t aware of the facts. 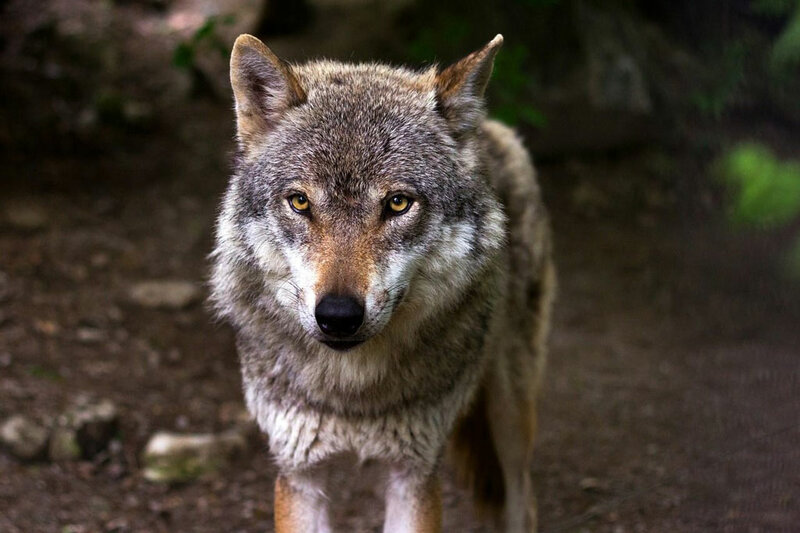 While many believe that wolves are depredating large, hoofed animals – like deer, elk, and moose – wild wolves actually maintain their populations. In fact, since wolves have been reintroduced in states where elk roam, those areas have seen an increase in elk numbers. 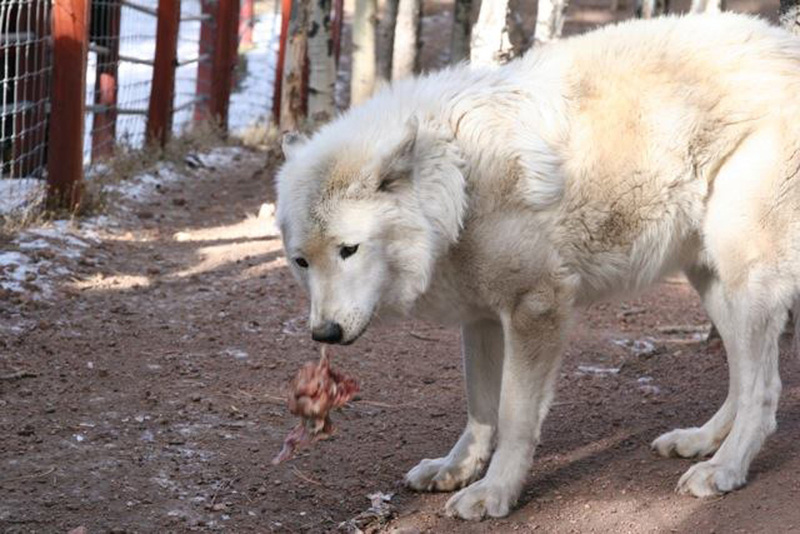 Because they’re such big creatures, wolves can eat a lot. Depending on the individual wolf, they can eat anywhere from two to 20 pounds of meat per day – out in the wild, of course. 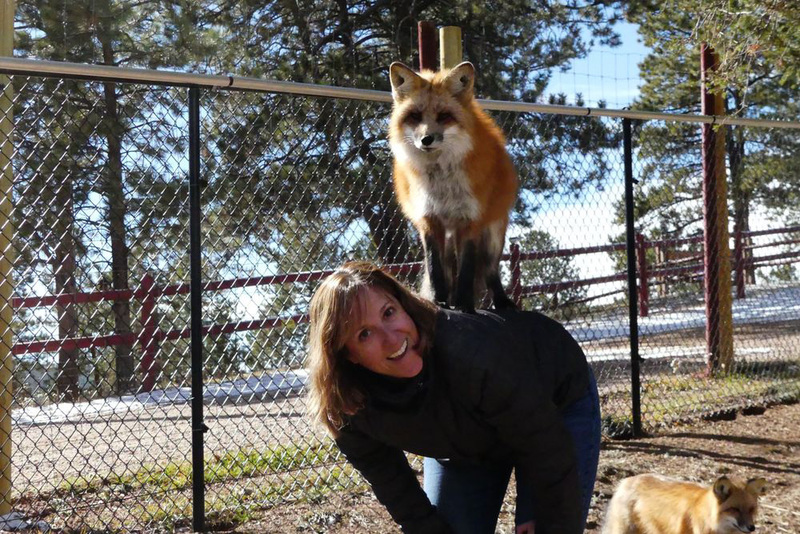 At the Colorado Wolf and Wildlife Center, you can get a glimpse of their diet. Since the Center has expanded, they’ve even built an entire room that stores meat to feed their animals. It houses up to 5,000 pounds of food! For the ultimate authentic wolf experience, visitors can opt for the Full Moon Tour offered by CWWC. After complimentary drinks and snacks, the Center’s founder Darlene Kobobel guides you herself along Chinook’s Nature Trail at dusk. As the full moon rises, Kobobel tells the story of how the Center came to be and at the very end, everyone participates in a group “howl at the moon.” The best part is hearing all the wolves howl back! Part of why the CWWC’s efforts are so important is due to the declining numbers of wolves in the United States. By some reports, there were approximately 450,000 wolves roaming the U.S. during the mid-1800s. In the present day, there are just over 5,000 wolves accounted for in the country. Even worse, the Mexican Gray Wolf is an endangered species. They used to be common throughout the Southwest but were nearly eliminated by the ’70s. Wolves primarily roam in areas that are outside of the protected lands of our nation’s national parks. This means that they are often found in farming communities where livestock are raised and maintained. Raising livestock is by no means an easy thing to do, which is why ranchers and farmers do what they can to protect their animals. As a result, many wolves are shot to death. 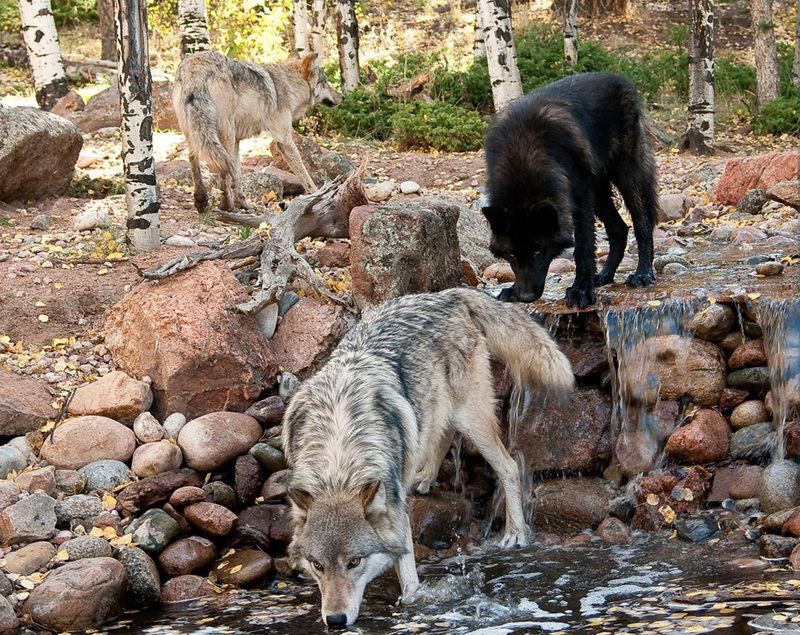 In contrast, only 0.2 percent of livestock losses are attributed to wolves. It’s true that encountering a wolf in the wild is extremely dangerous, but the same could be said of any wild animal. Wolves are only a threat to human safety if you do something to provoke them. Statistics show that you’re more likely to crushed by a vending machine than injured by a wolf. Over the last 150 years, there have only been four human fatalities attributed to wild wolves and even smaller percentages of wolf-related injuries. 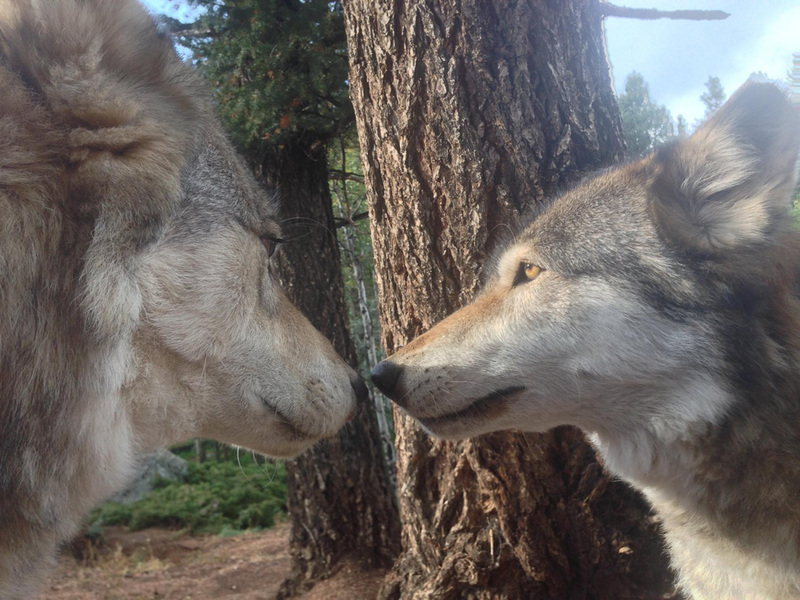 Considering all the facts about wolves, it’s good to know that places like the Colorado Wolf and Wildlife Center are taking action to preserve the livelihood of and change misconceptions about these majestic creatures. If more people visited the Center, then they’d be more aware of the dangers that these animals face. Still, not everyone is convinced that getting this close to these animals is the safest thing to do. But if you like to live on the wild side, perhaps you should make a point to visit!